Poly9 3D Mapping Acquired By Apple, Apple Earth Coming? Poly9 has been acquired by Apple for an undisclosed amount, according to AppleInsider. Poly9 is a web based, 3D mapping company from Quebec, Canada that creates interactive mapping software for use in a web browser. Poly9 employees were moved from Quebec to Apple headerquarters inCupertino, California and asked not to discuss the Poly9 acquisition. So is this Apple’s attempt to take on Google Maps with their own 3D mapping app for the iPhone? A lot of iPhone users have complained about the fact that Apple doesn’t have a mobile mapping application that competes with Google Maps. 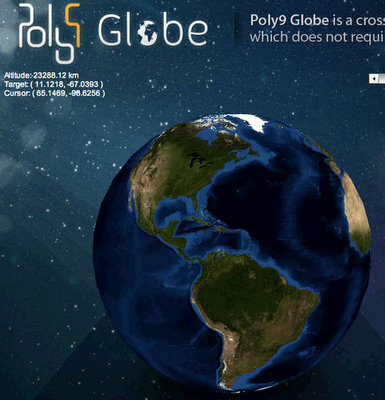 Poly9 has already created some amazing mapping software already with the Poly9 Globe project, which comes in a light weight 303kb mobile app download.